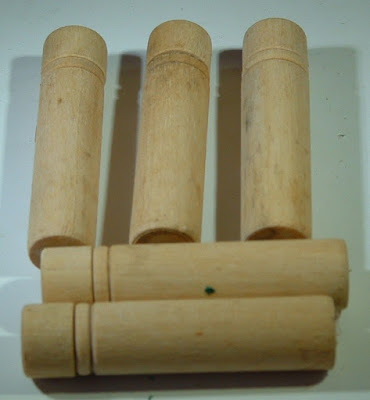 PDF on period knives and handles. 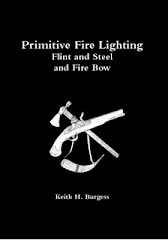 The use of Bow, Arrows and Slings. 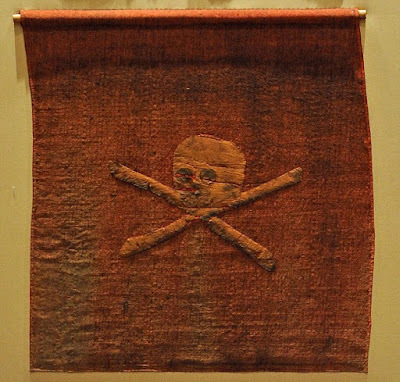 Colonial America. My thanks to Johan Käll for the use of these images. 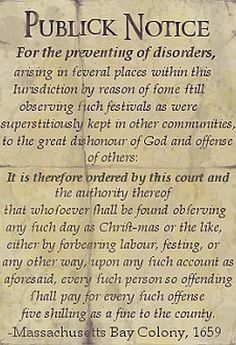 A 17th Century Xmas Poster. I hope you all have a pleasant and safe xmas. Personally I am going to wait for the winter solstice. The Touch-Hole Feather. 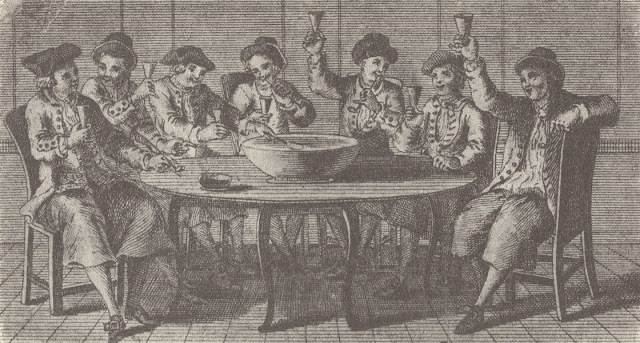 Documentation 1789. 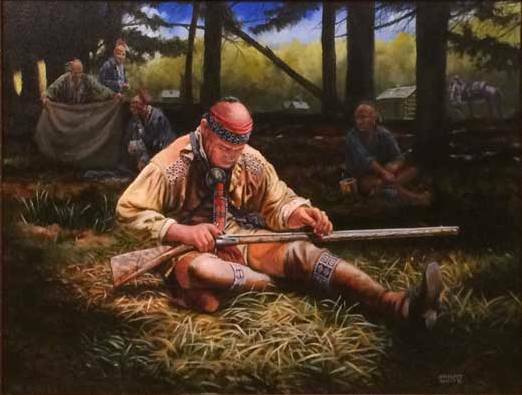 An Essay On Shooting 1789. Identification Please. 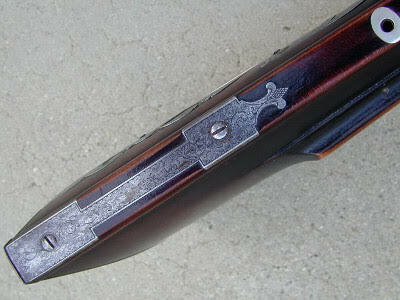 Hole in muzzle-loader gun stock. Scott contacted me asking what the hole in the stock was used for or what is its purpose. I was unable to help, so I thought one of you may have the answer or an educated guess. 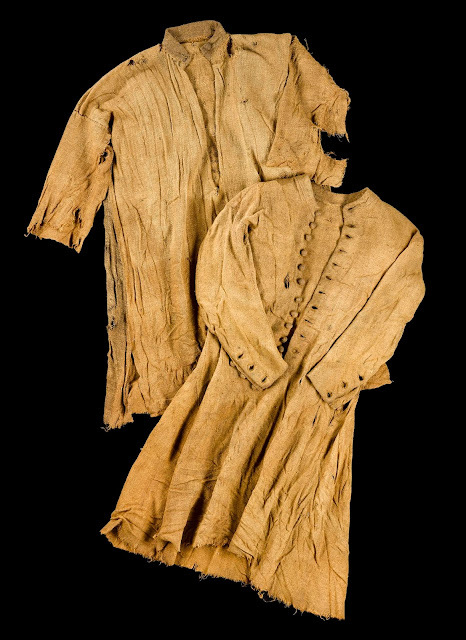 Anglo-American maritime clothing from 1680-1740 crowdfunding campaign. In speaking of people who are interested in my project, what are your thoughts on this whole effort and the book I intend to publish? I would think you would be greatly interested in such a material culture study. I hope that our shared interests will encourage you to donate to the campaign as well. 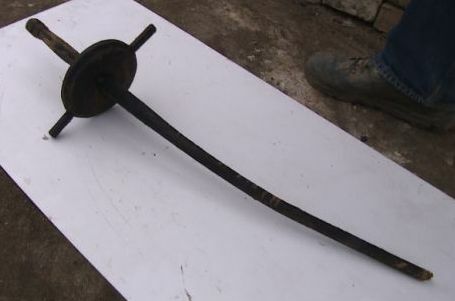 Wooden Practice fencing swords found in a latrine. Traps & Trapping Part One. DVD. New England Re-enactor's Fair 2017. 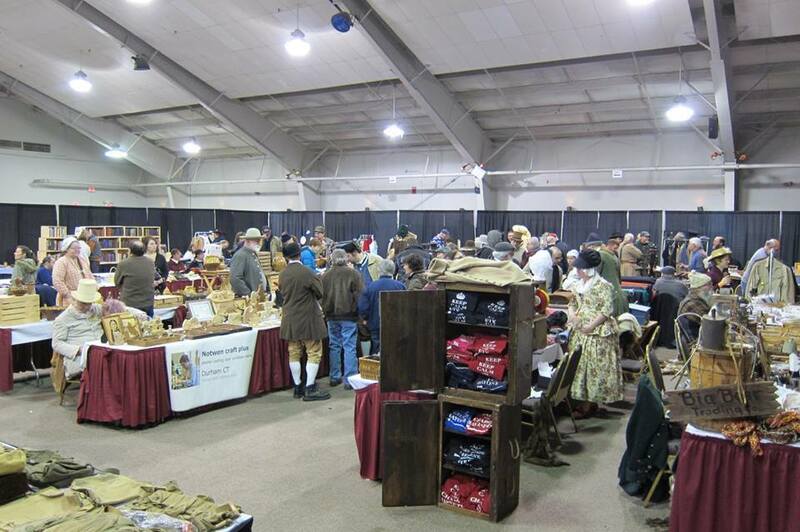 The New England Reenactors Fair would like to welcome you all for our first full weekend event. Coming this Feb.18th and 19th 2017 at the Sturbridge Host Hotel, Sturbridge,MA. With 40+ venders lining up this is sure to be a truly amazing time. Continueing with our great lecture series this year we will be introducing our first series of hands on workshops. Saturday evening 6:30-9pm there will be an evening social held in the Court Yard at the Sturbridge Host Hotel. Free for all to attend. Cash Bar will be open as will food available. Children 13 and under free. Workshops admission to be announced at a later date. Space limited. Hotel rooms are available at the Sturbridge Host Hotel at a special rate of $103.00 per night. If you are staying for the weekend I highly recommend this hotel. Photo By the late Dr Rob Gilbert (Copyright Keith H. Burgess). 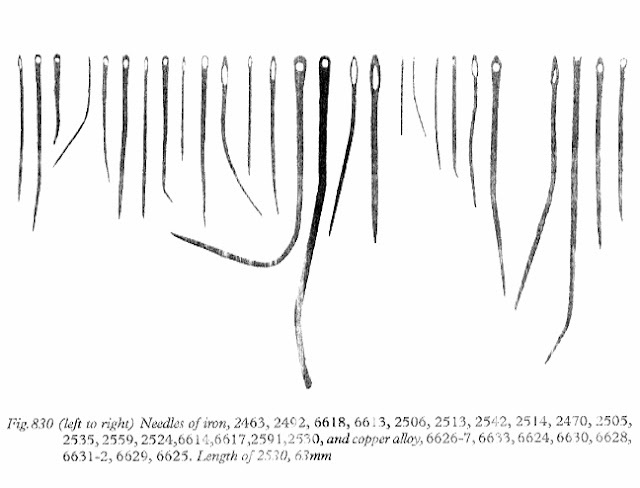 Please Note: The term FRIZZEN is a much later name not used in the 18th century. Common names in English were "steel" and "hammer". 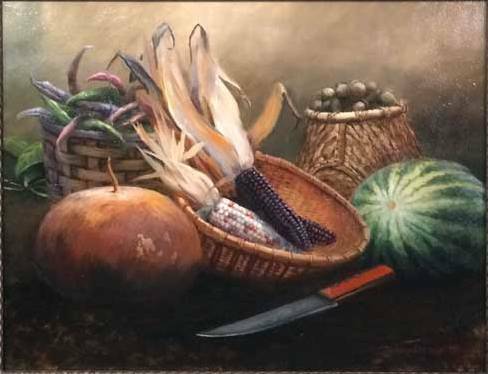 New Paintings From Bryant White. Three Sisters By Bryant White. 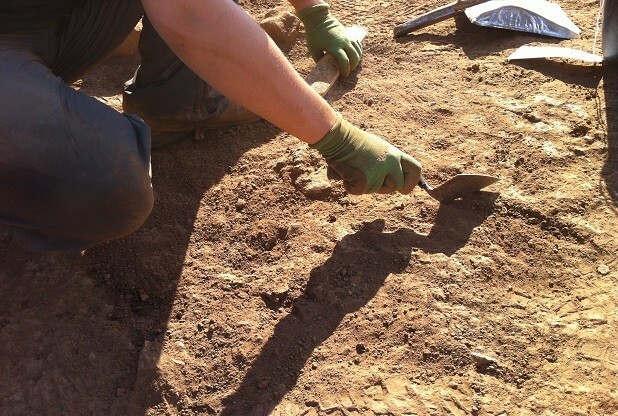 First Pilgrim Settlement May Have Been Found. Australian Survival and Preppers..: Times of Change. Finally! The Chimney Map. A 17th century map found in a chimney. 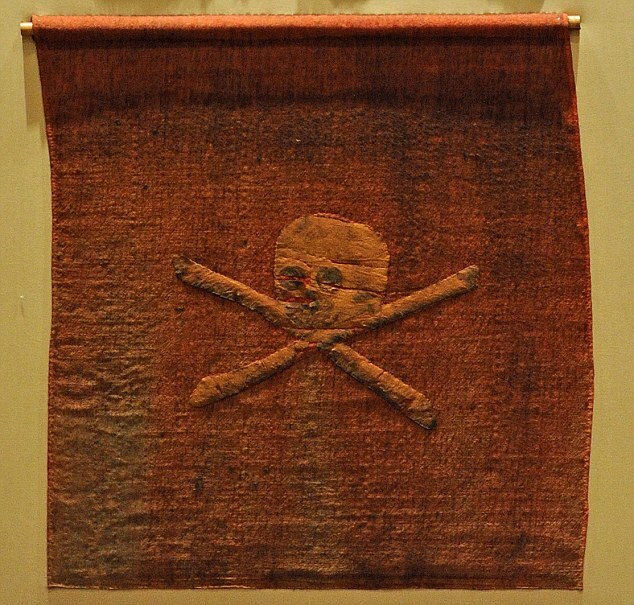 Pirate Living History Group and Pirate News. Warrant For Arrest. 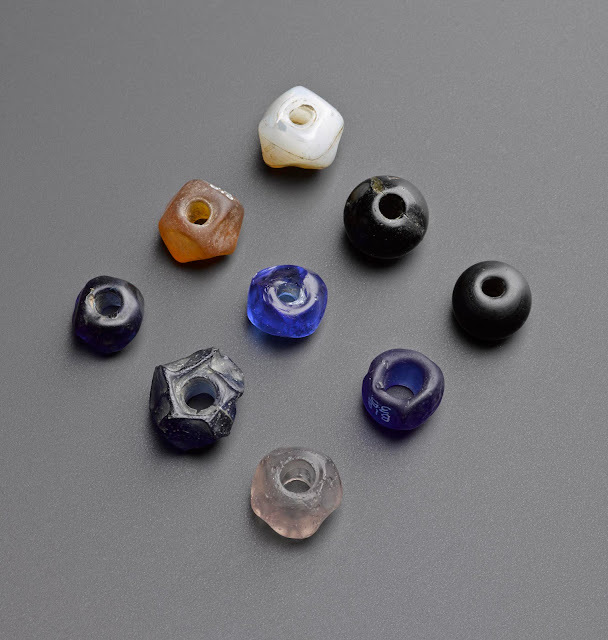 Glass Beads Found In Scotland. 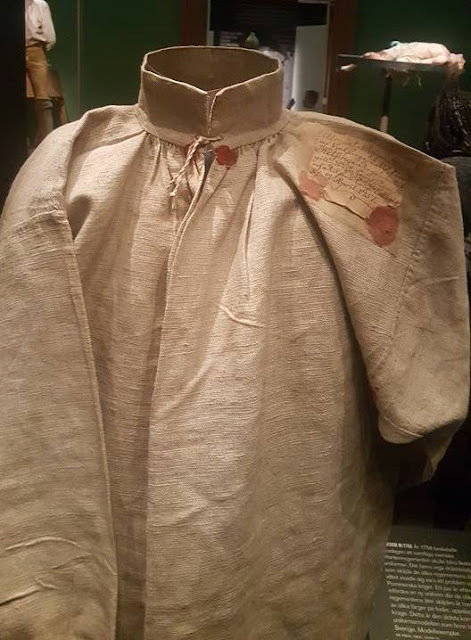 Arnish Moore Undershirt & Frock Coat. 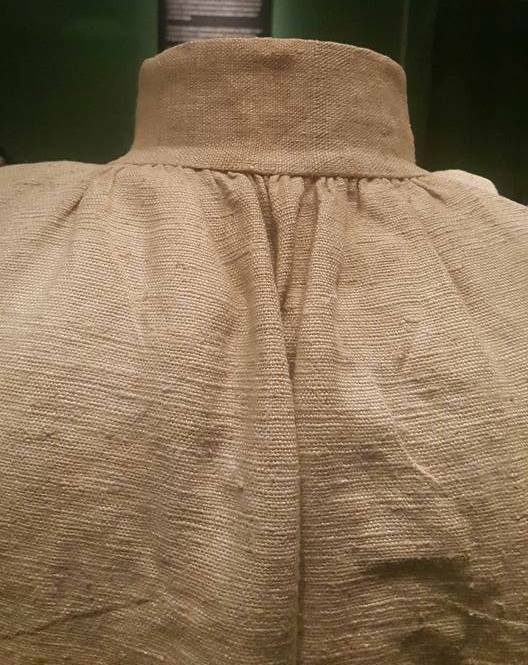 Thigh-length undershirt of brown wool, front opening closed by a single button on the collar, one of a collection of finds from a body discovered in a bog on Arnish Moor, Lewis: Scottish, early 18th century. 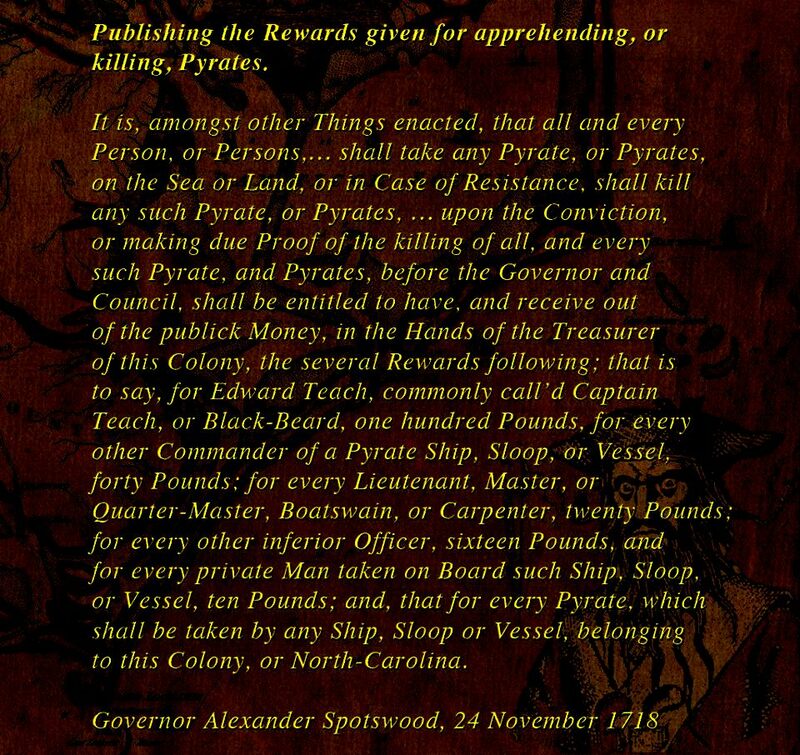 Actually in some country areas I don't think much has changed in 300 years. We still have an outhouse up at the cottage, & the main house composting toilets are not that much different. 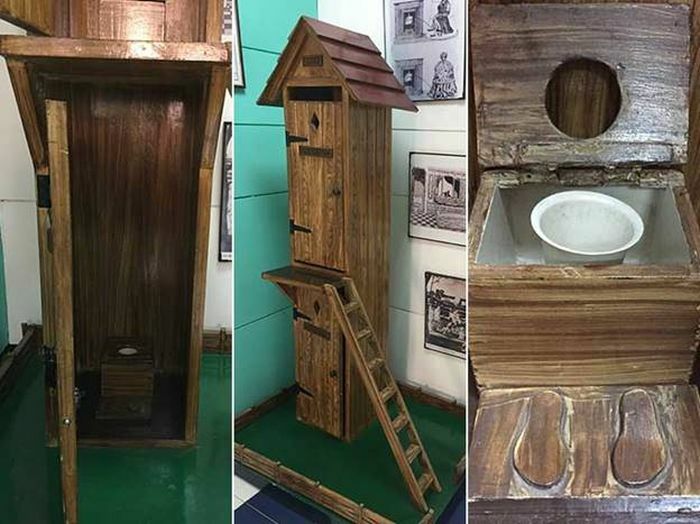 When you are off grid and have to supply your own water, modern flush toilets are not an option. New Book With Info On Pirates. 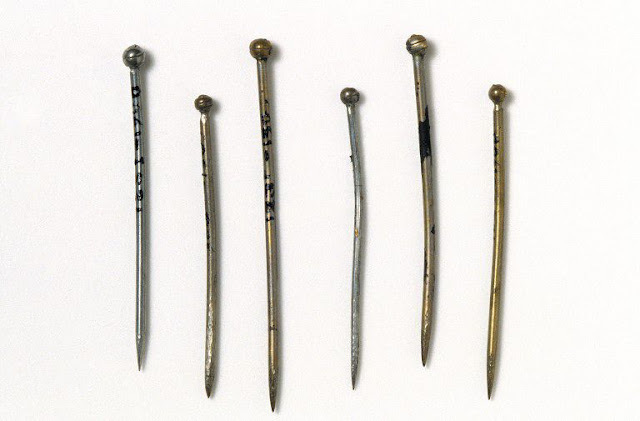 18th Century Sewing Needles & Pins. 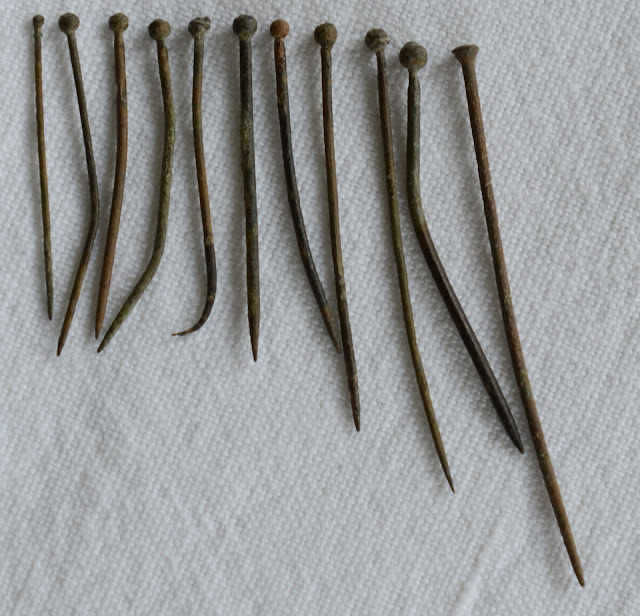 18th century items including steel needles and pins found in the Sprague House. 18th Century Sewing Needles and Pins. 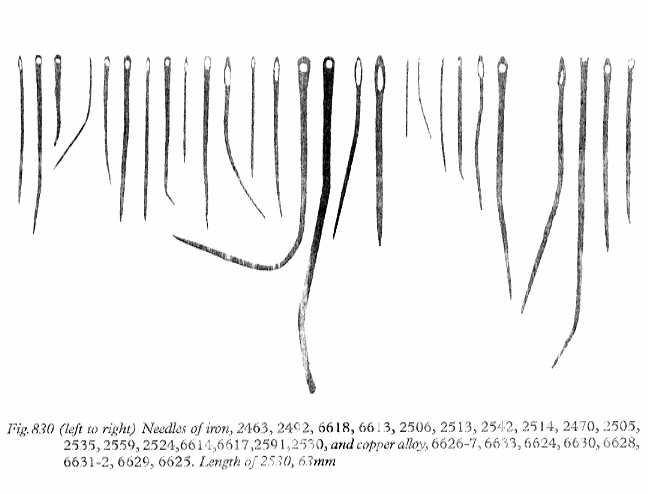 From about the Viking age until the 17th century sewing needles were made of iron. 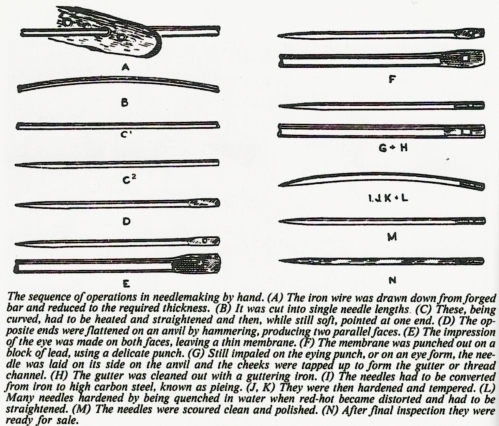 From the 17th century onward sewing needles were made of steel. If you are looking for 18th century sewing needles for your “housewife” sewing kit, I suggest you simply purchase a set of modern sewing needles. 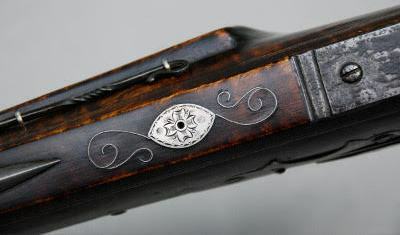 Hand made brass pins were in use during the 17th & 18th century. 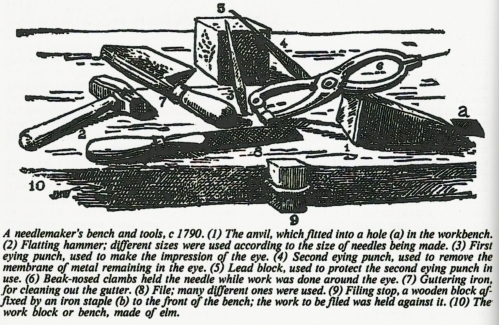 The pin itself being made of brass wire, & the heads were made separately of brass wound around the top of the pin. 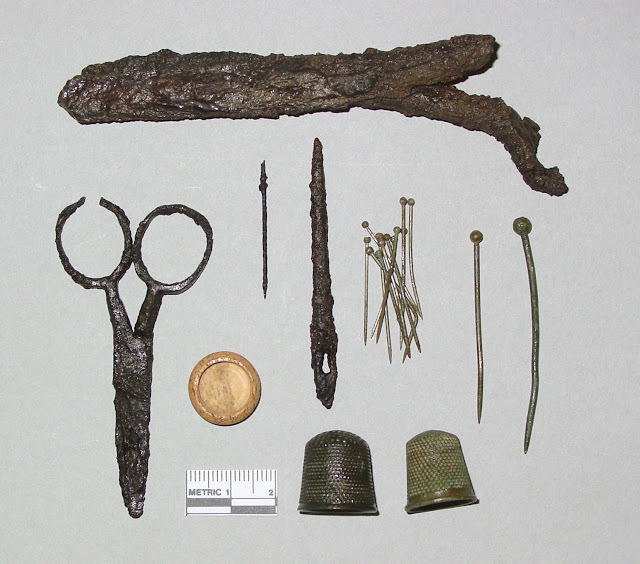 17th-18th century brass English pins found in the mud of the Thames River London England. 1620-1650 Silvered brass English sewing pins. 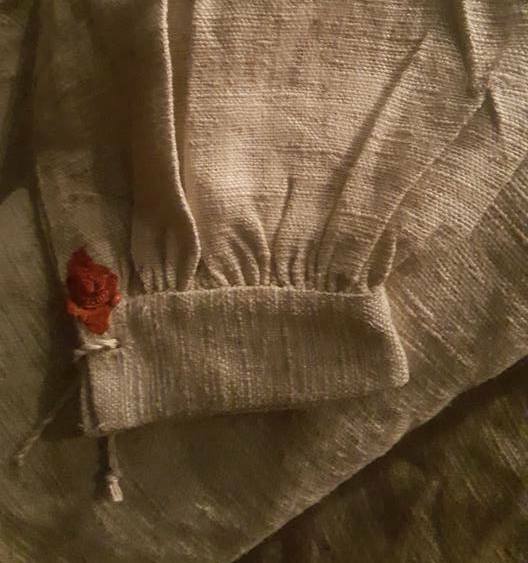 Close-up of the author's pin cushion on the housewife with steel needles. 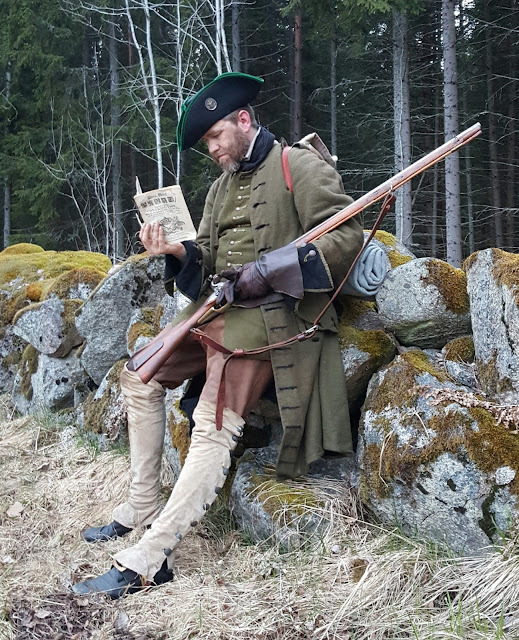 Living History and Historical Re-enactment Groups Contact Address List in the UK. PDF.